This coming weekend will see another monthly CLE challenge. The hunting grounds will be the 50 kHz swath from 270 - 319.9 kHz, with much of this is being shared by DGPS signals here in North America. The last time this range was covered was in CLE 212, back in October 2016. Conditions were particularly disturbed back then, as described in my CLE 216 Results blog at the time. Propagation should be much better this time, I hope! A nice challenge in this one is to hear the Pikangikum (ON) NDB, 'YPM', on 274 kHz. Although just a 25-watter, thanks to its large vertical, YPM is well-heard throughout North America. Will you log it as well? Look for 'YPM's upper-sideband CW identifier, repeated every 10.5 seconds, on 274.352 kHz with your receiver in the CW mode. If you are interested in building a system for the new (U.S.) 630m band, the CLE will give you the chance to test out your MF receiving capabilities and compare against what others in your area might be hearing. You will soon know how well your system is hearing. frequency range - about three times wider than usual. Any first-time CLE logs will be very welcome, as always. (it includes 270 kHz but not 320 kHz). and not in an attachment, with 'CLE229 FINAL' at the start of its title. # UTC (the day changes at 00:00 UTC). # kHz - the beacon's nominal published frequency if you know it. other optional details (Location, Distance, etc.) later in the same line. aerial(s), etc. that you were using. If you send any interim logs, be sure to send a FINAL (complete) one. on Tuesday so that you can check that your CLE log has been found OK.
We are hoping to make all the combined results on that day. or remote, to obtain further loggings for the same CLE). 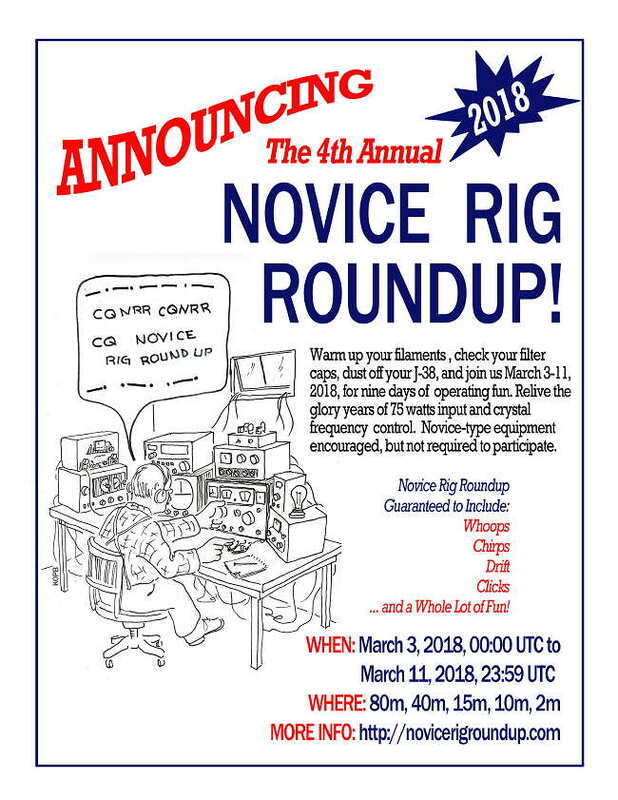 One of the most enjoyable operating events of the year is fast approaching -- the Novice Rig Roundup or 'NRR'. Technically, it is a contest, but I have the feeling that most participants think of it as just a lot of fun and a nice opportunity to hear and work some of the great old 'classics' of the past -- rigs that were used when they were teenage Novices or rigs that they could only drool about owning, back in those formative years when they each discovered the magic of radio. Once again the bands will be alive with the sounds of Heath AT-1s, DX-20s, DX-35s, DX-40s and DX-60s, Johnson Adventurers, Eico 720s, Drake 2NTs, Knight T-50s and T-60s, Ameco AC-1s and of course, an endless variety of lovingly-constructed homebrew delights and ... a full 9 days to celebrate the 'good old radio days' of their teen years, as many of us remember them. The dates to remember are 0000 UTC March 3 - 2359 UTC March 11 and this multi-day opportunity is, for me, what makes the NRR so enjoyable. With a nice diversion from the usual 'contest frenzy' associated with standard weekend operating events, the NRR can be enjoyed throughout the week, whenever you choose to participate. If last year's operating patterns continue, you should find activity at any time of the day ... and even more as sunset arrives. With the fast-approaching solar minimum, we will be hard-pressed to relive the glory days of worldwide 15m propagation, as even last year's event proved to be tough on this band. 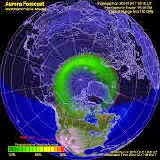 With a little luck and, hopefully, a well-timed solar flare, we may get lucky! If you operate during the daylight hours, please get on 15m and give it a shot ... and be sure to announce your activity on the NRR's sked and chat page here, so that others will know where to find you, especially if you are rock bound in true Novice fashion. With our present spotty conditions, we need all the help we can get and the sked page proved a very valuable asset during last year's affair. Although technically not required, if you plan to participate it's best to obtain your own NRR number, which is an easy 30-second process. Additionally, there is an online logger where participants can post their daily log. The nifty logger also keeps track and figures out your score as it goes and no 'after contest' log needs to be submitted. If you plan on submitting a log, the logger is a requirement. The logger will also require you to set up a 'log-in' and once again, a simple 30-second process will take care of that from here. Stations may run either crystal-control or VFO or can switch between either method ... the online logger will keep track and score things appropriately. Stations running in both Novice 1 and Novice 2 categories (probably most common), will be eligible for prizes in both modes if they make at least ten contacts using a Novice 1 station or if they work ten Novice 1 category stations. All of the rules and information can be found on the NRR's excellent website. As well, the soapbox comments and station pictures from last year's NRR may provide the inspiration that you need to spark-up your own activity in this year's event ... from what I can tell, this year will be bigger and busier than ever! There is also a dedicated NRR Yahoo Group, often the source of much valuable discussion. Last year I ran my homebrew Longfeller in the (now eliminated) QRP category, and had a ton of fun. You can read about it here. This year, I have refurbished a nice Drake 2NT that had been gathering dust in the basement for over 25 years ... it's all ready to go now, but a problem with the VF-1 VFO has arisen. The combination works well on 40m and above but on 80 it's a different story. The VFO runs on 160m and it seems that the 2NT balks at the idea of doubling in the buffer stage to 80m. Unless I solve the problem, I'll be rockbound on 3579, 3550 or 3560kc. ... it was 'kilocycles' back then, which always seemed to make more sense to me than 'kilohertz'. If you have access to the web while operating, be sure to bookmark and check-in to the NRR's realtime chat page. Many ops that are crystal controlled will announce their operating frequencies, making it easier for you to find them ... sometimes way up or down from the normal NRR watering holes of ~ 3550 - 3650 kHz, 7100 -7125 kHz, 21.100 - 21.150 MHz and 28.114, 28.120 MHz ... and don't forget to check the colorburst crystal frequency of 3579! Of course with the large number of rockbound stations (on crystals), be sure to look above and below these frequencies. It's good practice to listen well above and below your own frequency as well, for anyone answering your CQ who may be up or down the band on crystal control. Unlike today, this was very common practice back in the Novice days! 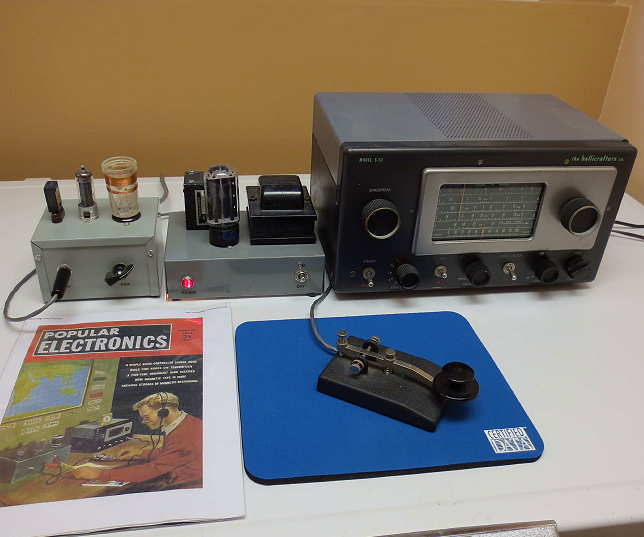 Harry's homebrew 6AQ5 crystal oscillator (Feb '55 Popular Electronics) and Hallicrafters S-53, pictured above, allowed him to work the world back in the amazing radio days of Cycle 19. Let's relive some of that excitement in the closing days of Cycle 24 ... in the NRR! You still have time to get that old clunker on the air but if that's not possible, you can join the fun with your modern rig as well ... all are welcome to jump in and have a great week of radio-fun. I think you will be surprised, just as I was last year, how good some of these old classics can sound ... and you'll hear some great bug-fists as well. 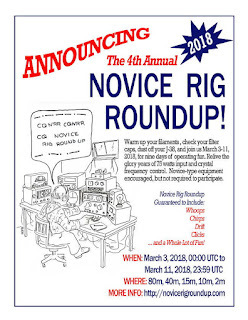 As indicated on the NRR website, this is "more of an EVENT than just a typical contest ... once again taking our OLD ham radios off the shelf and putting them to use again! " See you in the 2018 NRR! It seems like the FCC's recent interest in doing an in depth study of the growing RF spectrum noise floor has taken a new twist. The FCC's apparent lack of real action in gathering the data needed to make serious inroads into RF noise pollution has drawn the attention of the ARRL, which voiced their concerns in a recent ARRL Letter as well as in their formal response to the FCC. In response to the FCC's Public Notice (ET Docket No. 17-340) Spectrum Management proposals, the ARRL "took the opportunity to strongly urge the FCC to reinstate a 2016 TAC noise floor study, which, ARRL asserted, apparently was terminated before it even got started." It would seem that the proposed in-depth study never even happened and the term 'noise' has morphed into an 'interference' issue! The FCC's paper proposed a number of guiding 'principles' in going forward with spectrum management policies, loosely based on the concept that more emphasis on eliminating 'interference' should be placed on receivers along with continued development of transmitter spectral purity and that with increased spectrum crowding, users will simply have to expect and accept certain, as yet unspecified, levels of interference! It sounds suspiciously as if the FCC has decided that the source of any noise / interference problems have become too large to control and have passed the buck to equipment manufacturers in order to solve the growing problem for users! “Indeed, it is difficult to imagine how the Commission can now…suggest the adoption of specific spectrum management principles, incorporating such concepts as receiver immunity, HCTs [harm claim thresholds], and interference temperature determinations without having…a firm grasp on ambient noise levels in basic RF environments and geographical areas,” the League told the FCC. Principle #7 – Services under FCC jurisdiction are expected to disclose the relevant standards, guidelines and operating characteristics of their systems to the Commission if they expect protection from harmful interference;"
“Requiring better performance from receivers or RF-susceptible devices is a valid, reasonable, and long overdue requirement,” ARRL said, “but the major goal of doing so should be to prevent instances of interference ..."
Specifically they argue that amateurs are unique users and able to recognize harmful interference beyond their control and should not be subjected to the same restrictions (ie. get ready to accept new levels of yet undefined interference levels) as commercial users. 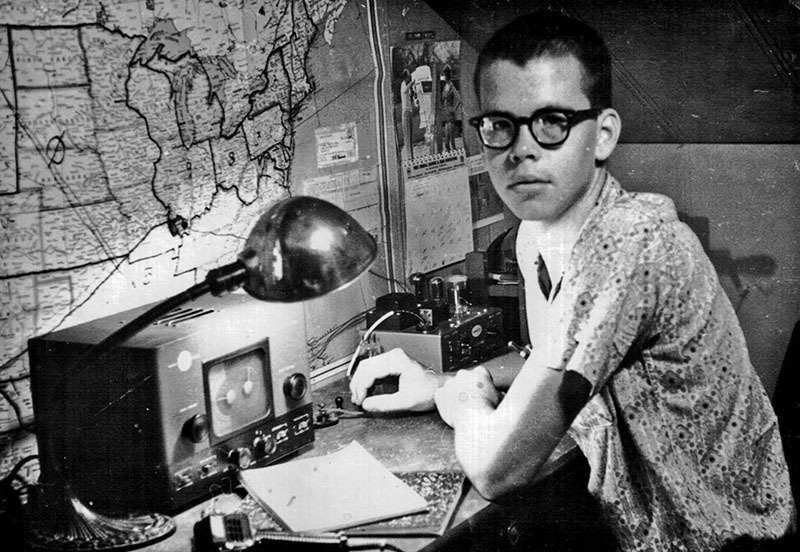 "ARRL argued, however, that the Amateur Service should not be subject to receiver immunity standards, because licensees employ a wide range of propagation, emissions, bandwidths, power levels, receivers, and antennas, making any receiver performance standards arbitrary and compromising the Service’s experimental nature. They also are able to differentiate between interference from nearby spurious or out-of-band signals and that caused by receiver deficiencies. The HCT concept does not fit the Amateur Service particularly well, either, the League said; any interference hams suffer from each other is resolved cooperatively. Brute-force overload also occurs occasionally but is resolved by licensees without FCC intervention." 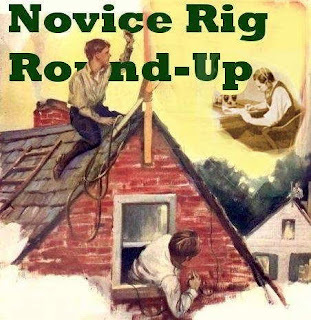 The ARRL seems somewhat forgetful when it comes to several long-standing complaints of inappropriate amateur-generated interference and bad behaviours which have been ignored for far too long ... problems well beyond 'cooperative resolution' by affected amateurs. “That, in ARRL’s view, is a big mistake,” the League contended. “No system of spectrum management incorporating [harm claim thresholds] and receiver immunity levels can be accurately implemented” without the noise study data. With Washington's drastic cutbacks in FCC field-office investigators and overall budget trimming, it seems that the FCC is still relentlessly driven to eradicate all forms of illegal (pirate) broadcasting. It's a pity that they don't display the same zeal for dealing with the illegal imports and distribution of the offshore equipment that is quickly killing our ability to hear anything on the ham bands ... without selling-off and moving to several acres in the country.